Anyone who is buying a house in Spring Hill Florida — or even just checking up on the market — is likely to find that some of the rules of the game seem to have shifted. Particularly anyone expecting to be deluged by the kind of amazing deals being offered in 2008 and 2009 should see what I mean. 1) Blanket Low-balling – Running around writing up a bunch of low-ball offers is a surefire way to get yourself ignored, or worse, miss out on an otherwise great property. A better approach? Work with a knowledgeable agent whose expertise in area neighborhoods will allow you to check on the most recent comps, then write a serious offer. 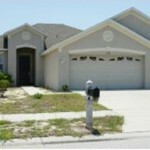 2) Dismissing Imperfect Properties – The degree of your success in buying a house in Spring Hill Florida can depend on starting out with a reality check: only very rarely is a property totally perfect for you and priced absolutely right. 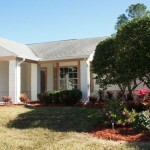 3) Highest and Best – Unfortunately, the tempting low prices listed for some Hernando County Real Estate bank-owned homes also means that it’s increasingly common to encounter the dreaded “multiple offer situation.” If you find yourself there, be prepared to submit your highest and best offer first — you may not have another shot. This changing market doesn’t mean we are headed into the kind of fever-induced ‘bubble’ we saw in the mid- 2000’s. But for those seeking a deal and waiting for the bottom of the market before buying a house in Spring Hill Florida, the market does not seem to be waiting. 2013 is clearly the time to jump in!